Easy Image Reflection 2 has been released on the Mac App Store! Easy Image Reflection 2 is the sequel to the popular Mac app, Easy Image Reflection. Easy Image Reflection 2 adds some new features and takes advantage of improvements made to OS X in Yosemite. -You can adjust the spacing between the reflection and the original image by moving the Spacing slider. 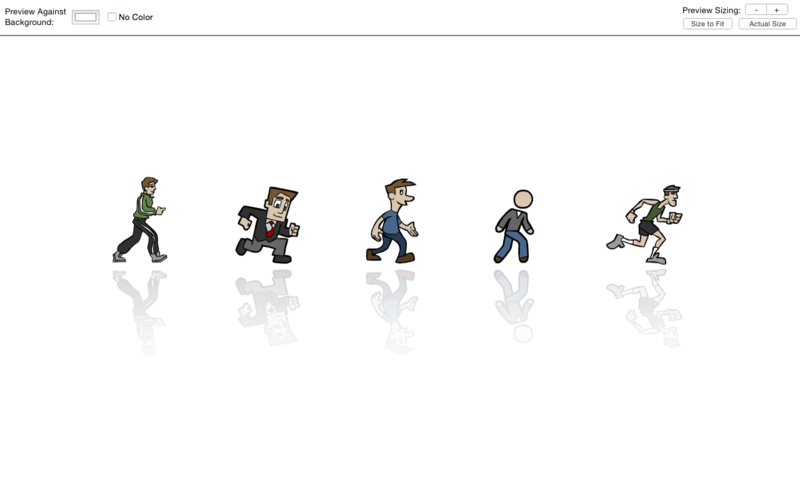 -You can save your image with a custom background color of your choosing. 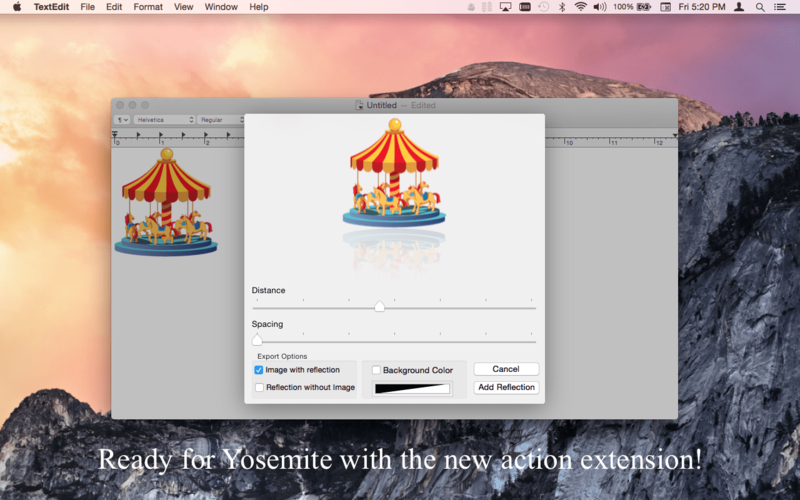 -Introduces the new Easy Image Reflection Action extension on OS X Yosemite. You can add reflections to your images in apps that support action extensions (such as TextEdit). 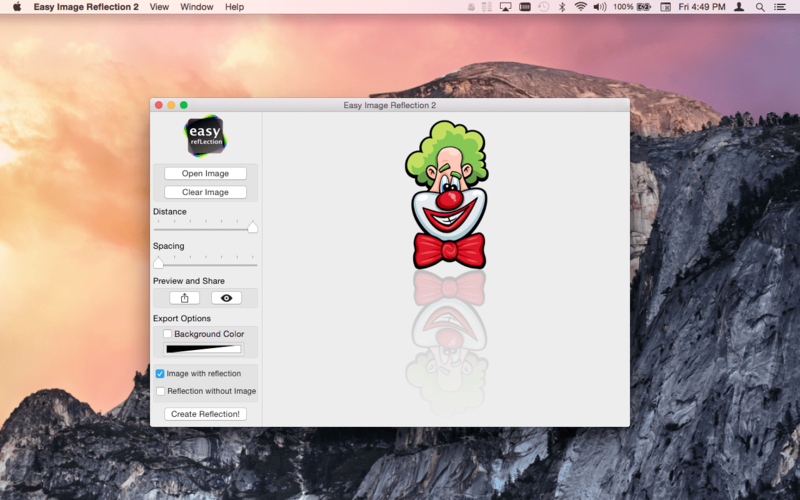 Easy Image Reflection is available now on the Mac App Store!